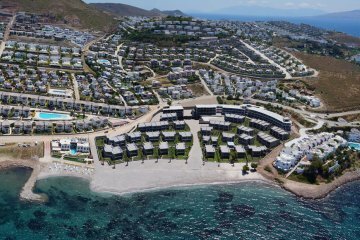 Bodrum is the most popular holiday destination in Turkey. 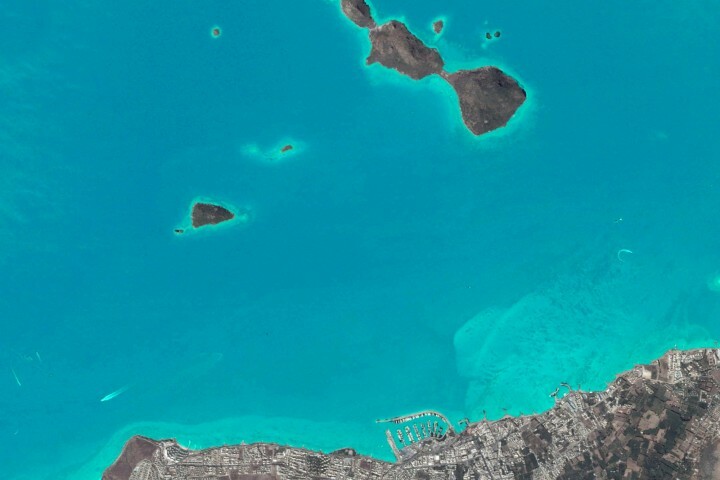 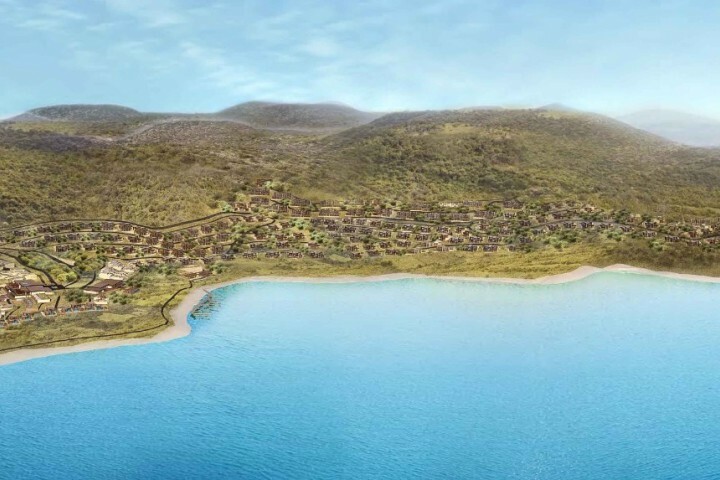 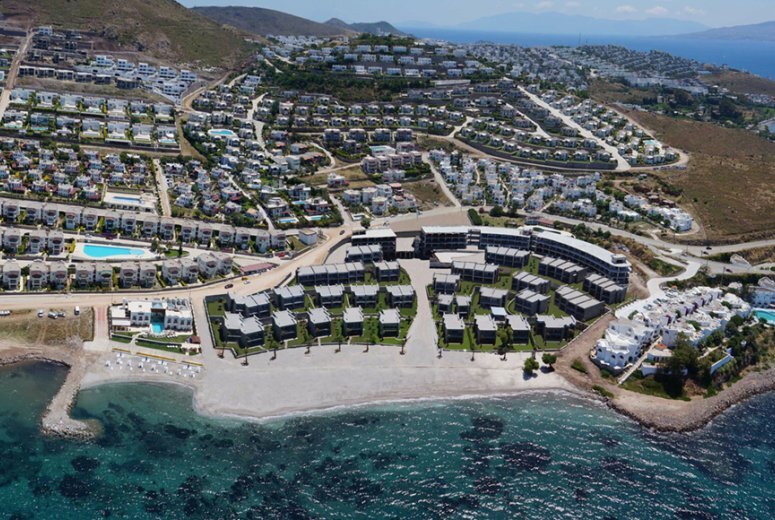 Bodrum has faced construction boom in 1980’s with the increase of touristic activities. 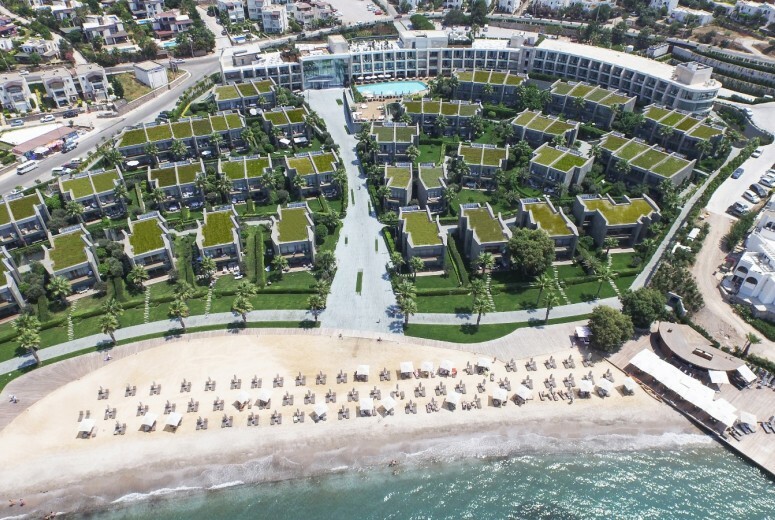 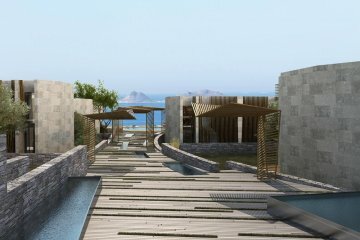 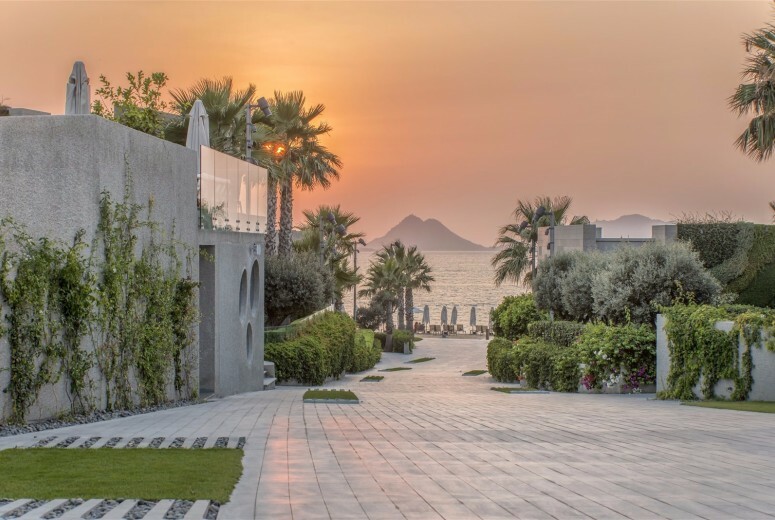 Swissotel Resort Bodrum Beach is a coastal development in Turgutreis, on the Bodrum peninsula, Turkey, located on a gently sloping site with unobstructed sea-views of Turgutreis Marina. 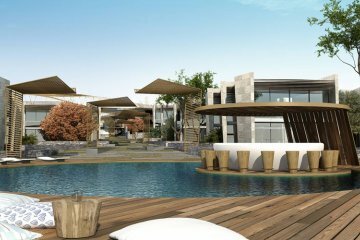 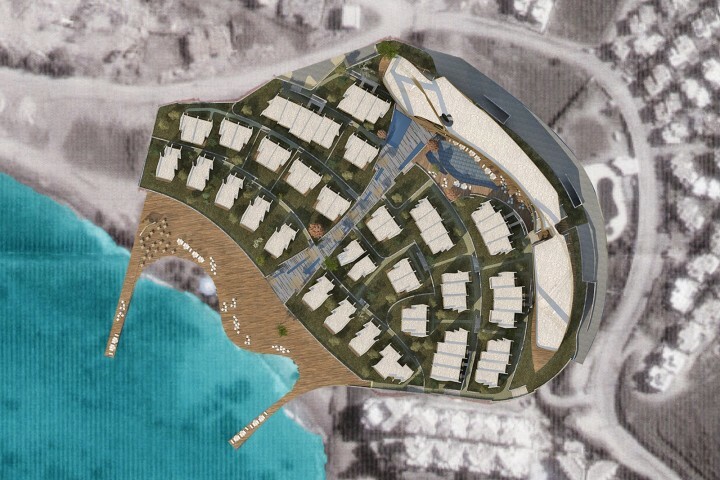 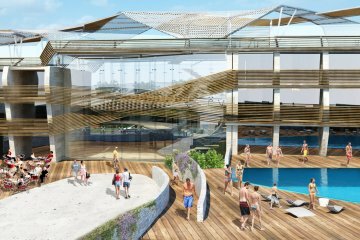 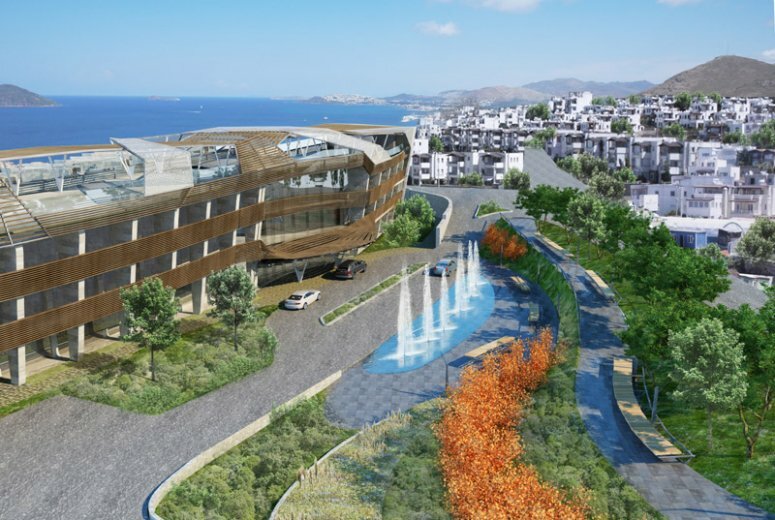 The project for the extension and continuity of the existing marina complex in Turgutreis has the burden of welcoming in this area that will also bring its own facilities. 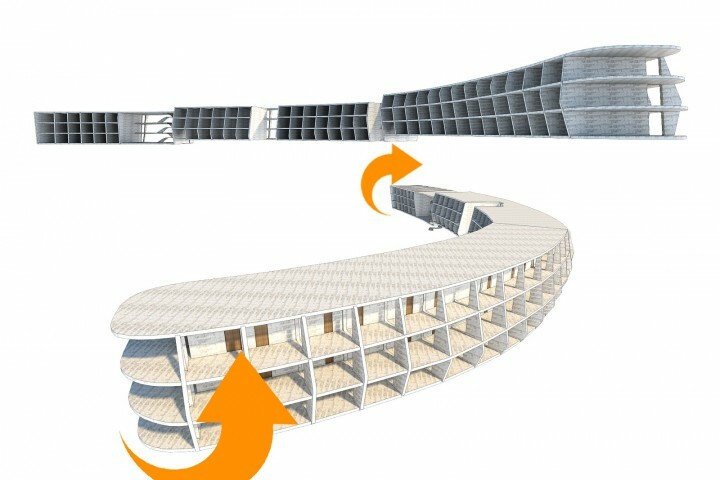 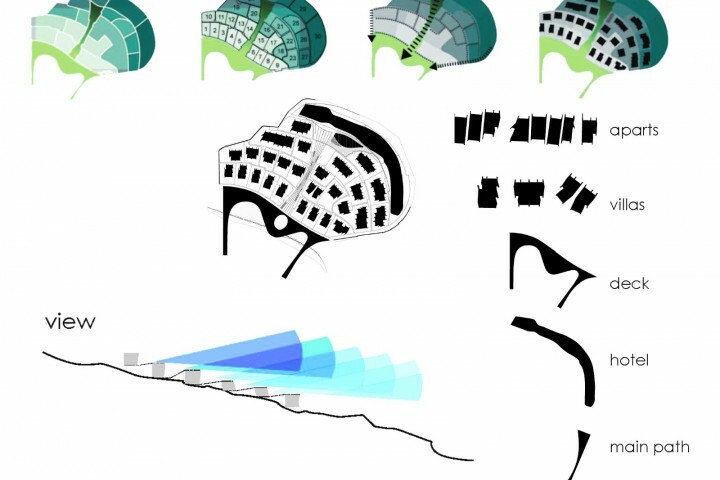 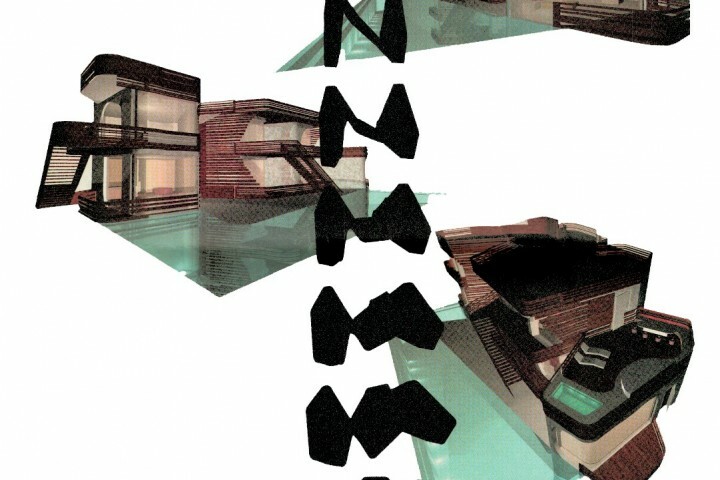 The main motivation for the design of the marina was to arrive at an architecture derived from the local character, merging with landscape and with the sea and creating live public beach instead of solid, soulless yacht marina without people. 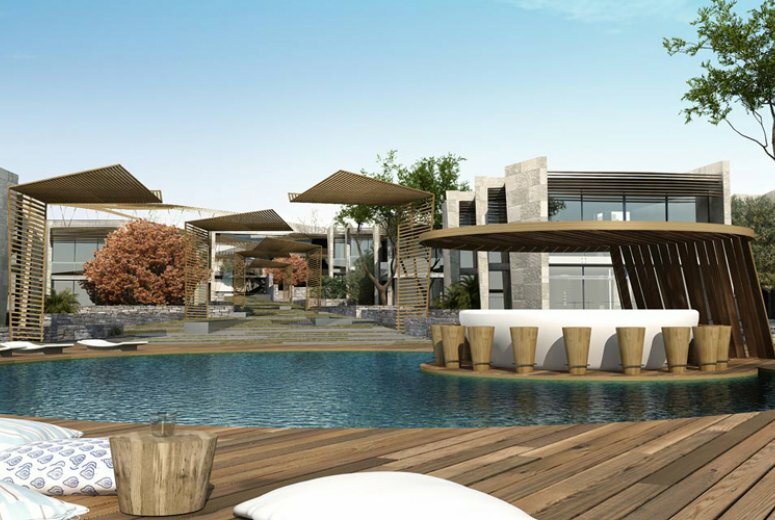 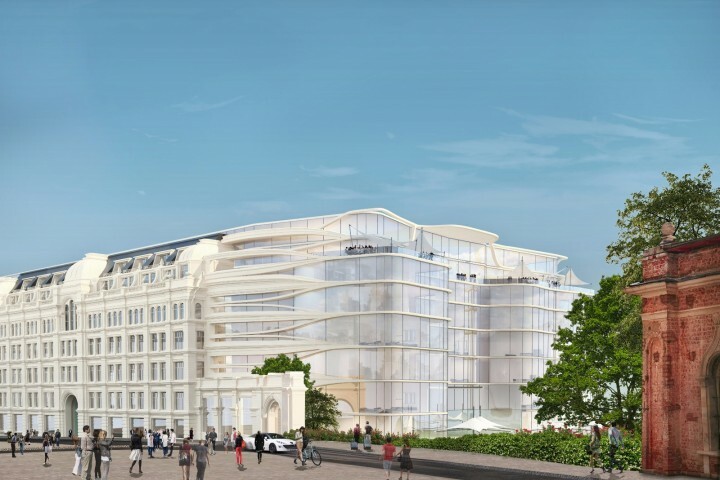 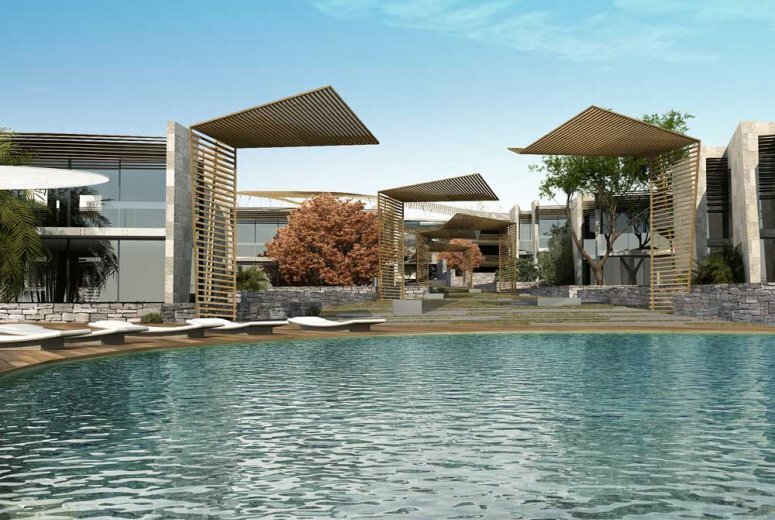 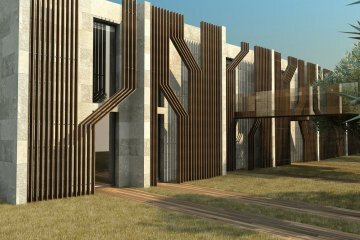 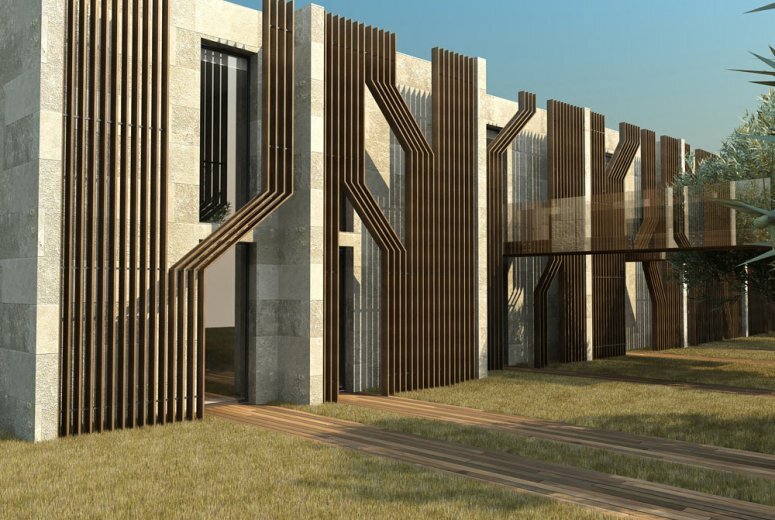 The project consists of a hotel with 60 enclosed rooms, 46 apartments, and 27 residential villas as well as a generous spa, gym and pool complex. 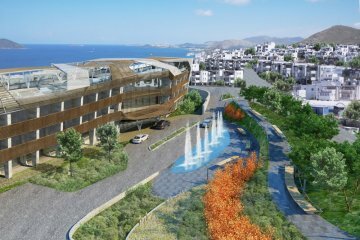 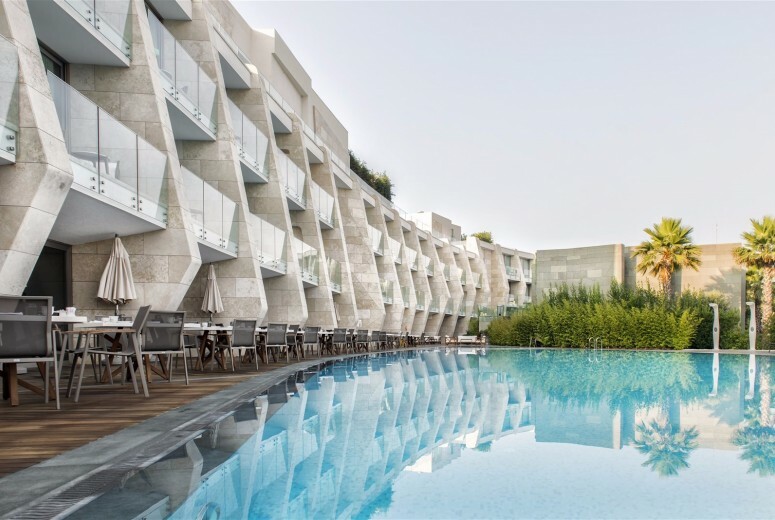 Swissotel Resort Bodrum Beach hotel, a twisting structure, is located on the highest point of the site and serves as the entry gateway to the development. 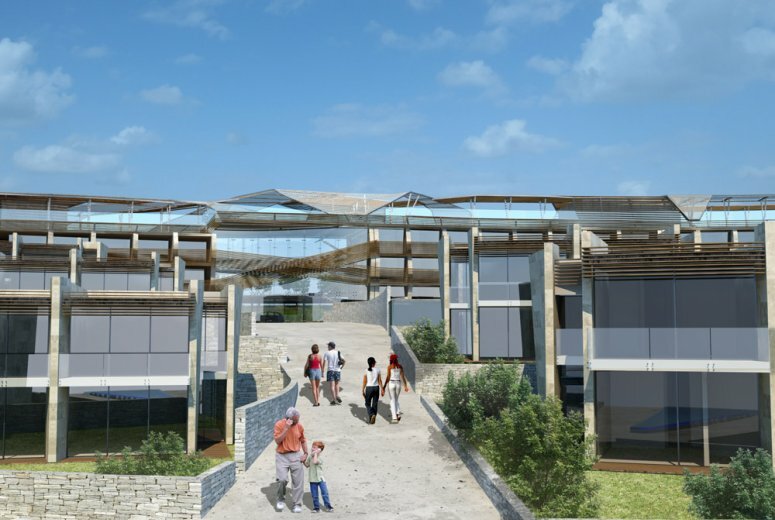 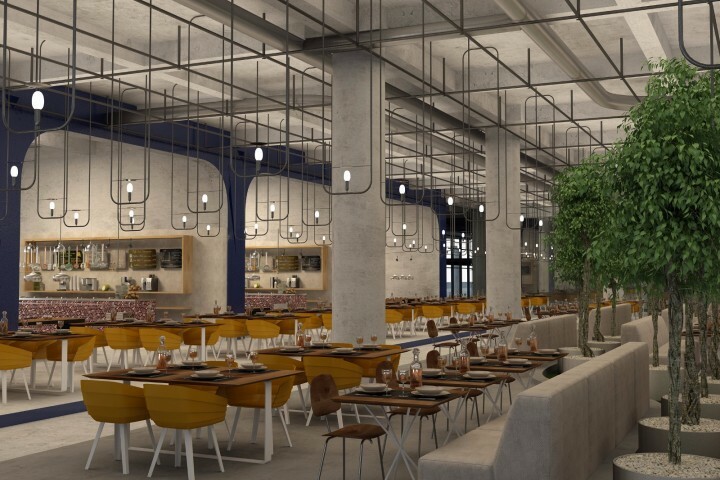 A pedestrian path links the hotel lobby to the sea, bridging the light-flooded space to a seaside restaurant & bar at its other end, creating a focal point by the sea. 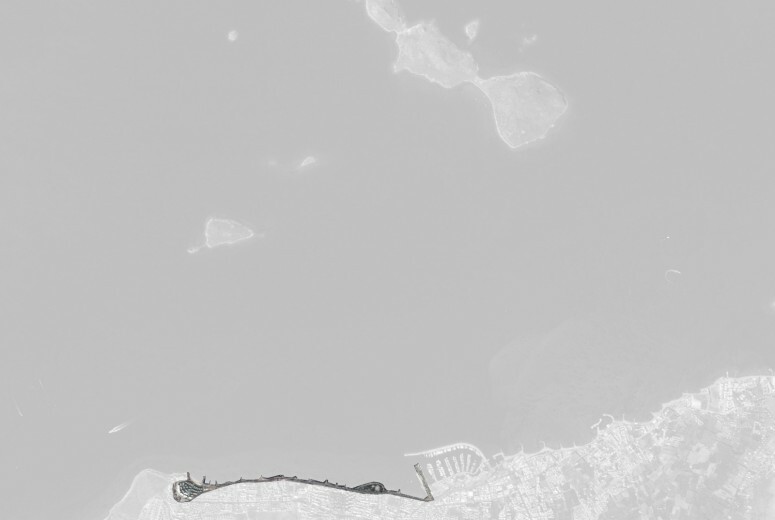 This main axis structures the development and serves as a back-spine of the site’s circulation. The apartment buildings and residential villas are arranged on a series of platforms, cascading down towards the sea, providing the maximum possible vista. 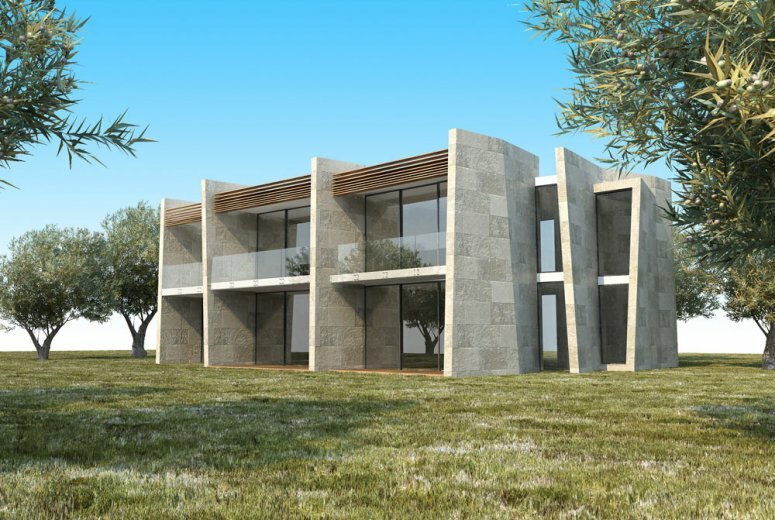 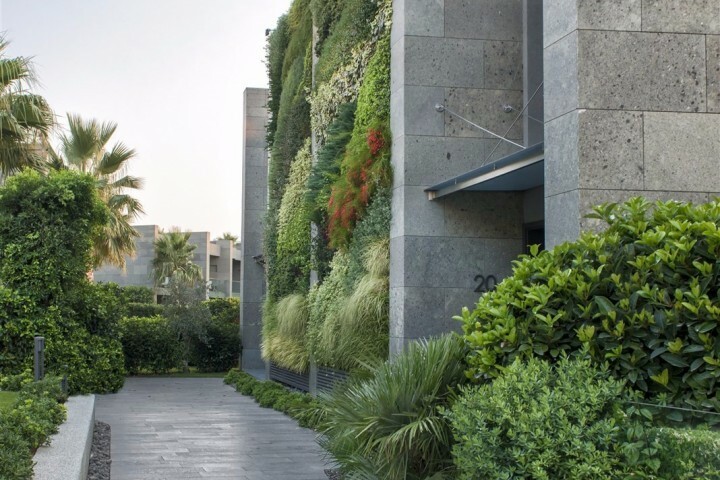 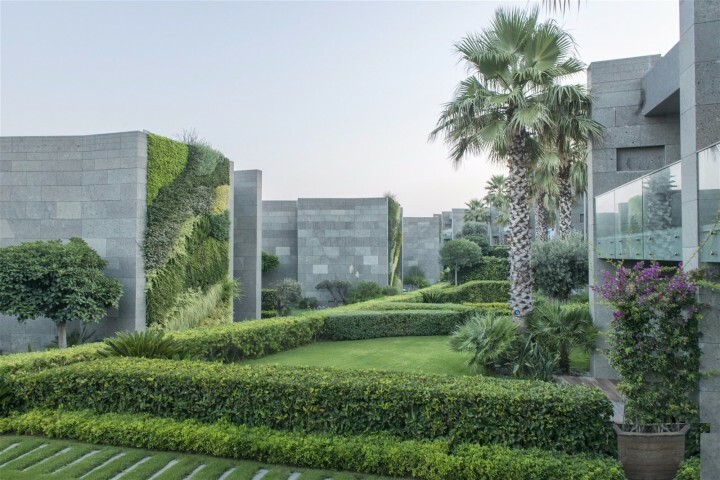 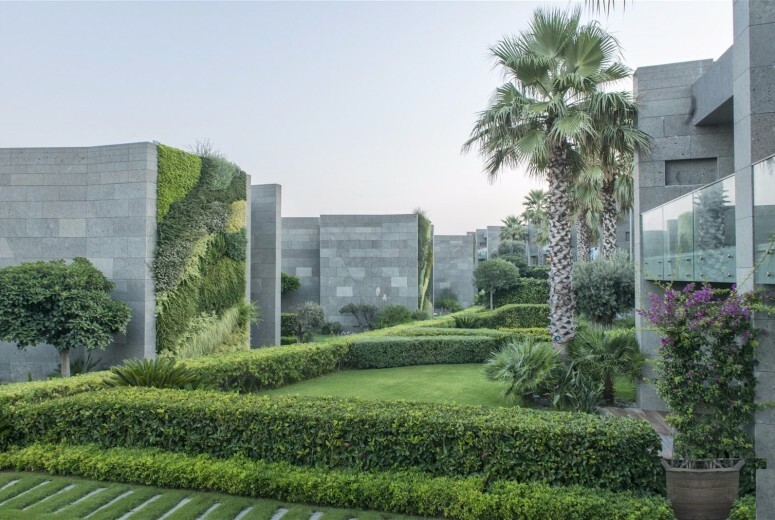 Each villa has two levels with the private rooms in the upper level and a spacious living room at the garden level, offset fin walls, pushing out to the sides of the buildings, maximizing their facade and offering a sea view for each room. 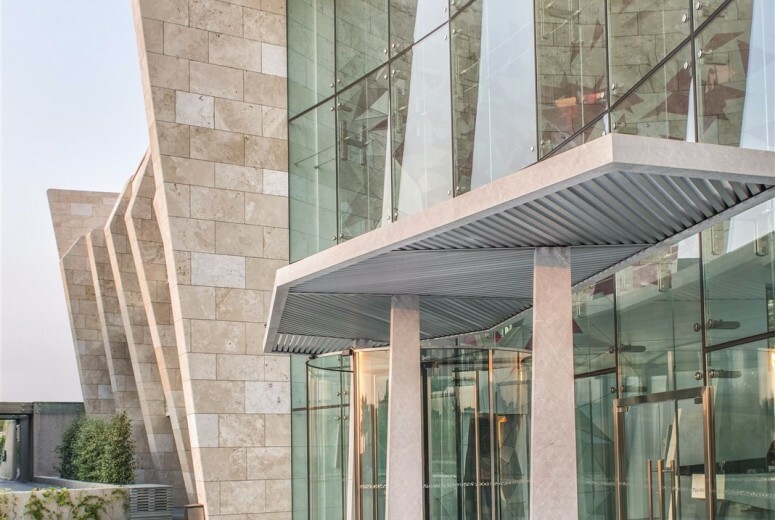 Wooden screens & canopies add an additional layer of detail and also provide protection from the intense summer sun. 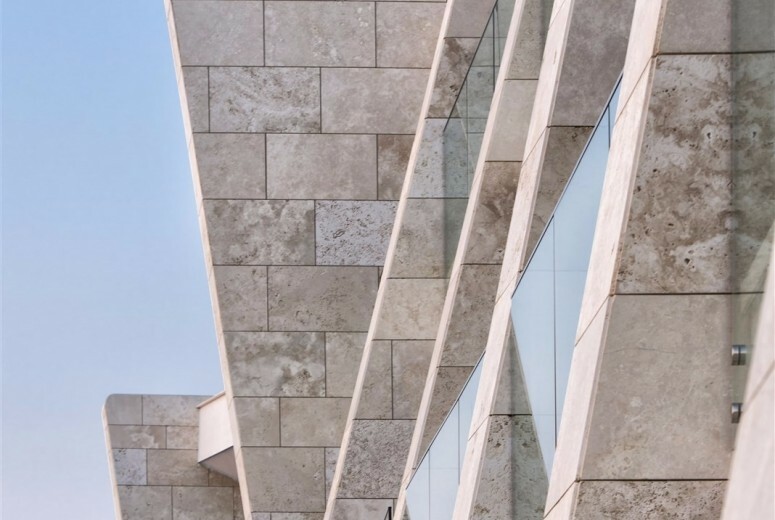 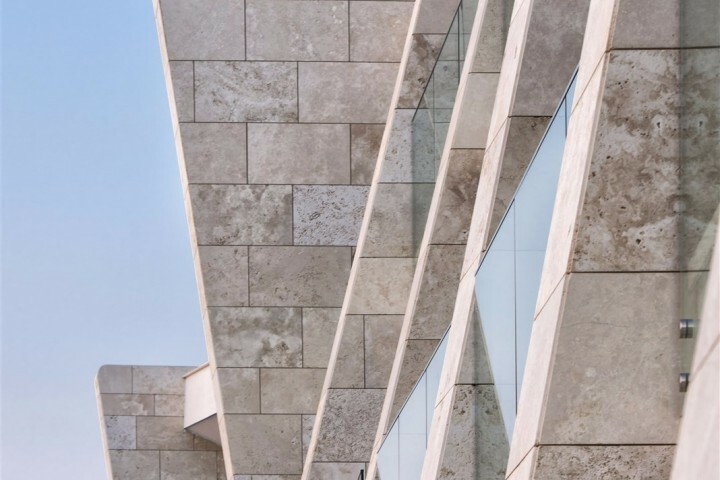 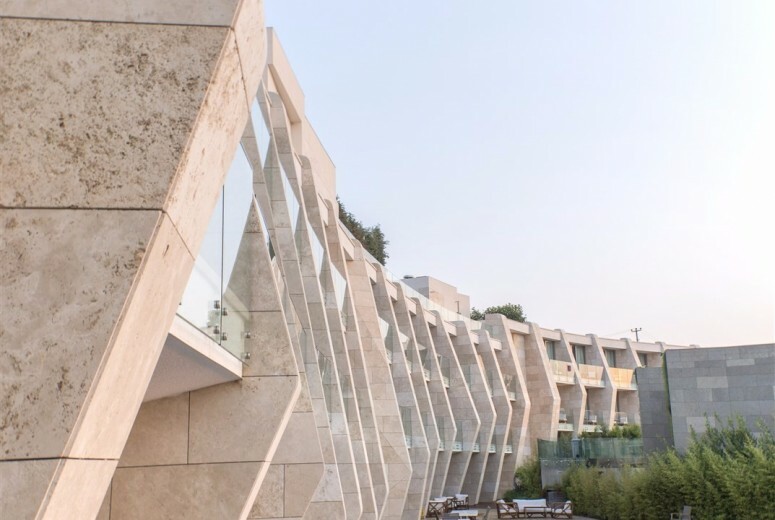 Following the ancient cities like Kos, Rhodes cladded with one material travertine is used to render to whole hotel complex and green natural stone to residence and villa blocks.